Still shopping for a condo? 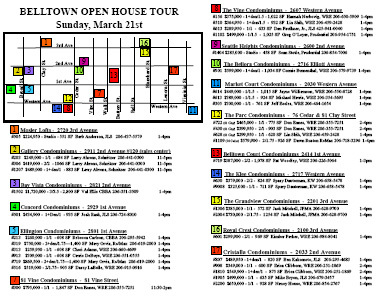 The next Belltown open house event on Sunday, March 21st will make it a little simpler to check out over 35 great condo & loft homes. The properties that’ll be on tour include studios, one-bedroom, one-bedroom + den and two-bedrooms ranging from $224,950 to $1,720,000. Most of the units will be open between 1 pm & 4 pm. All but two of the units are eligible for either the $8,000 first-time home buyers or the $6,500 repeat buyer tax credit. The tour features units at 17 Belltown condominiums including The Parc, Mosler Lofts, Cristalla, The Ellington, The Vine, Bellora, 81 Vine, Market Court, The Parc, The Klee and others! I’ll be at the Cristalla. Drop on by if you’d like to tour the units available or chat about Seattle’s condo market.